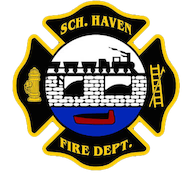 November 25, 2008- At 06:45 all 3 Haven stations along with District 41 (Cressona) were dispatched to 1544 Route 61 South, North Manheim Twp. for an automatic fire alarm. Crews arrived on scene, did some investigating and detected a false alarm. Everyone was released within 10 minutes.